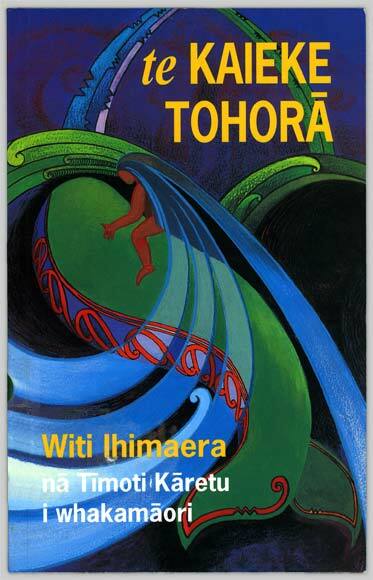 Witi Ihimaera's book The whale rider was translated into Māori by Timoti Kāretu and published as Te kaieke tohorā, shown here. The book tells a contemporary story based on the famous East Coast tradition of Paikea, known as the whale rider. Paikea was originally called Kahutiaterangi and was of high birth. His brother Ruatapu was of low birth. Ruatapu tried to drown Kahutiaterangi, but he called upon the denizens of the sea, and was rescued by a whale. A baby's mana and tapu were inherited at birth.